Light pollution, like global warming, is a byproduct of human population. 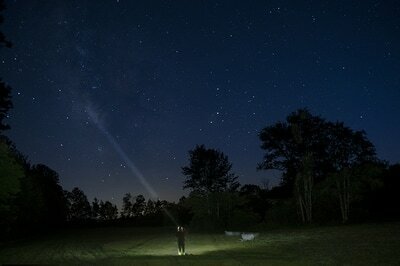 As our cities and towns continue to expand, the scrim of light continues its spread, blocking our view of the heavens. To those of us who are fortunate enough to see the stars unveiled in a clear rural sky the view is extraordinarily surreal. 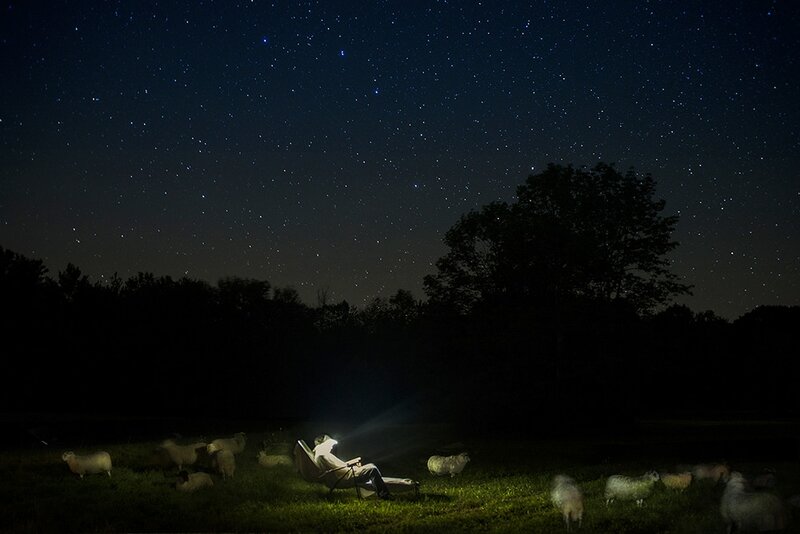 Light pollution from populated areas has been rising at the rate of 6% a year, according to a study by Italian and US astronomers. 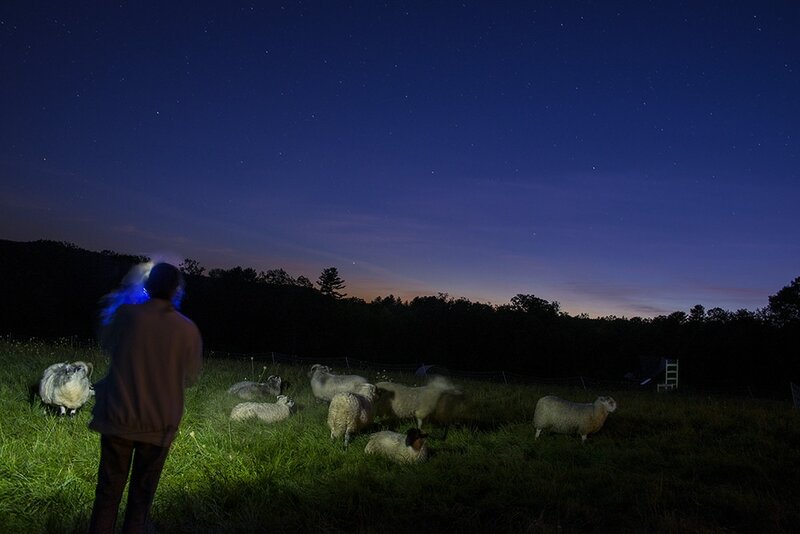 Add to that the loss of small farmers whose herds are free to roam and thrive in rural surroundings. 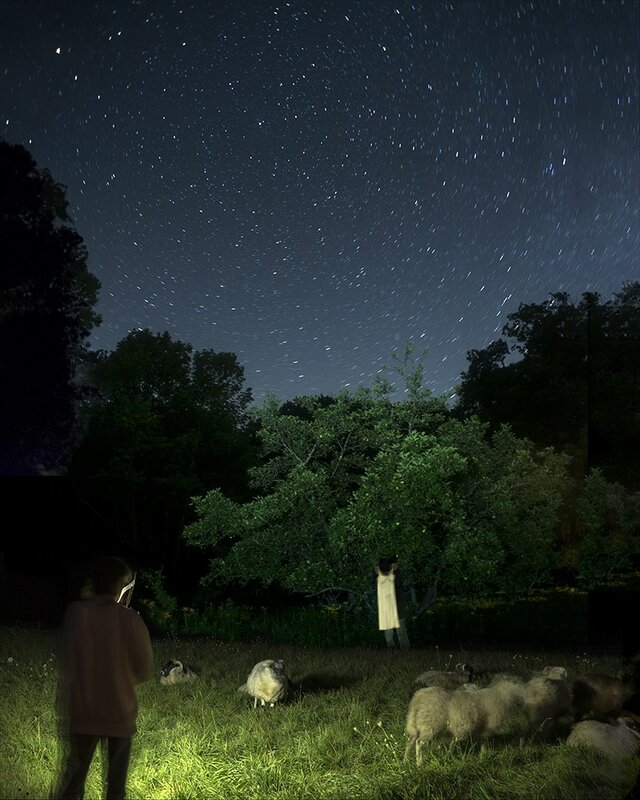 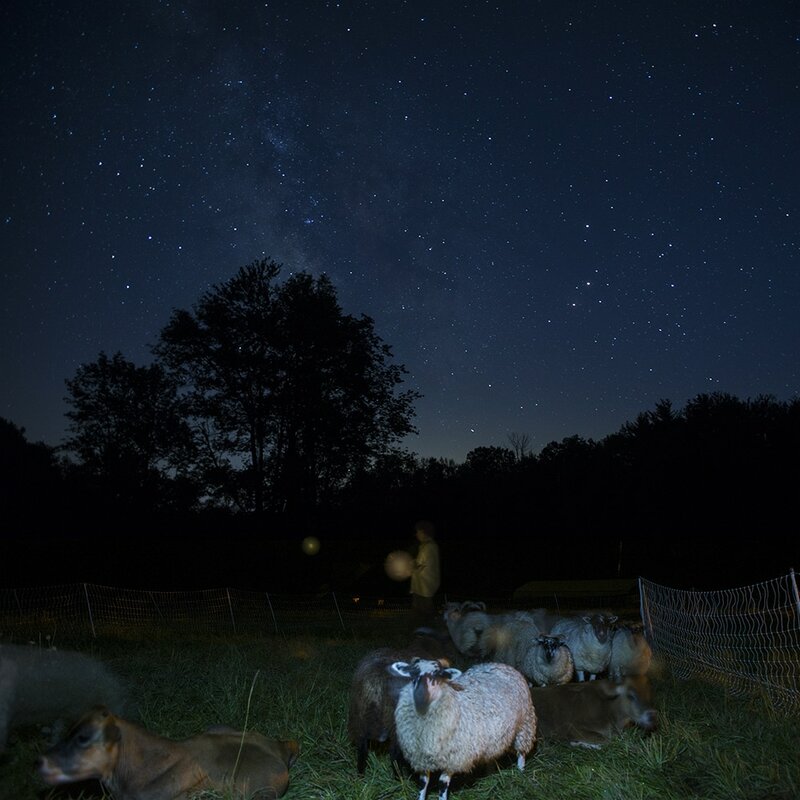 The combination of the rural night sky with rural farms is becoming a rare image that must be preserved as a reminder of what can exist outside the urban sprawl. 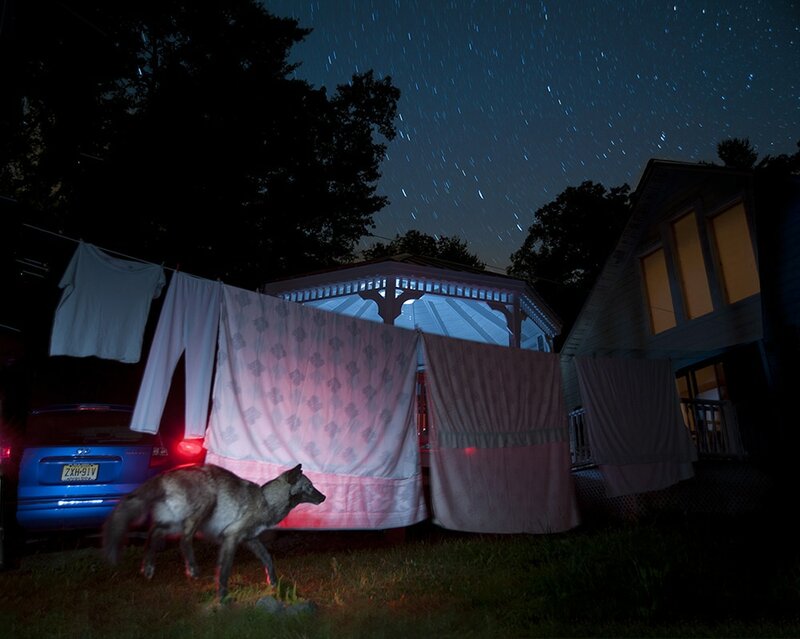 Light pollution has other consequences beyond our increasing inability to see the Milky Way: it alters the migratory, feeding and reproductive behavior of wildlife whose evolution is based on cicadian biological rhythms. Nightwalking through these darkened fields, I often heard fellow creatures but rarely saw them. The sheep and cows however, stood their ground silently eating their pastoral fill. 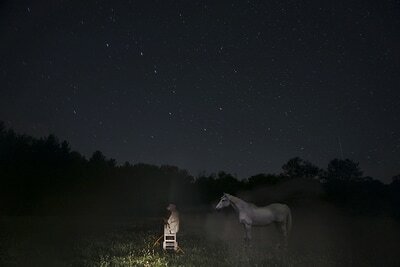 I stood with them for nights on end silently photographing them and imagining the creatures who gazed upon us. 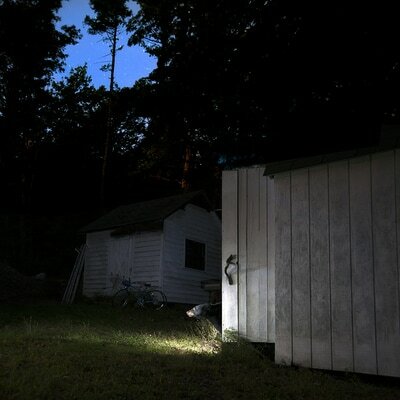 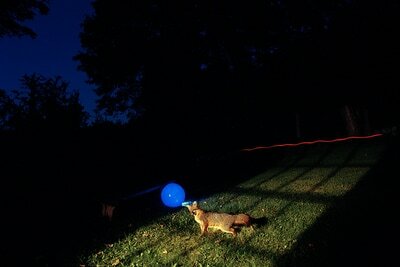 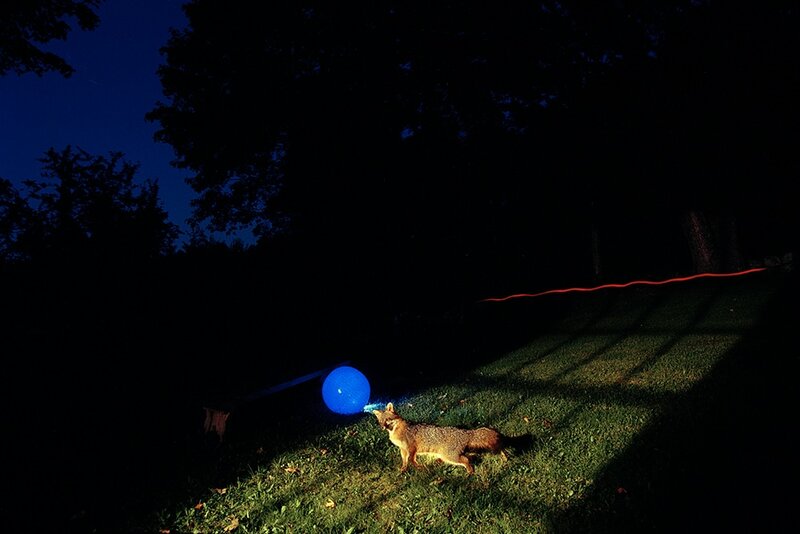 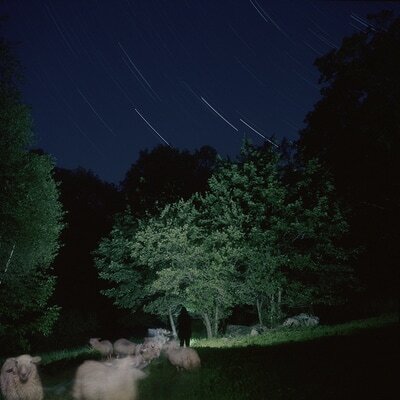 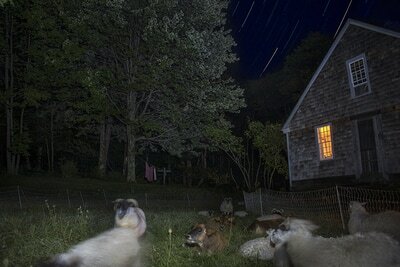 I have been photographing the rural night in the Northeast for over a decade. 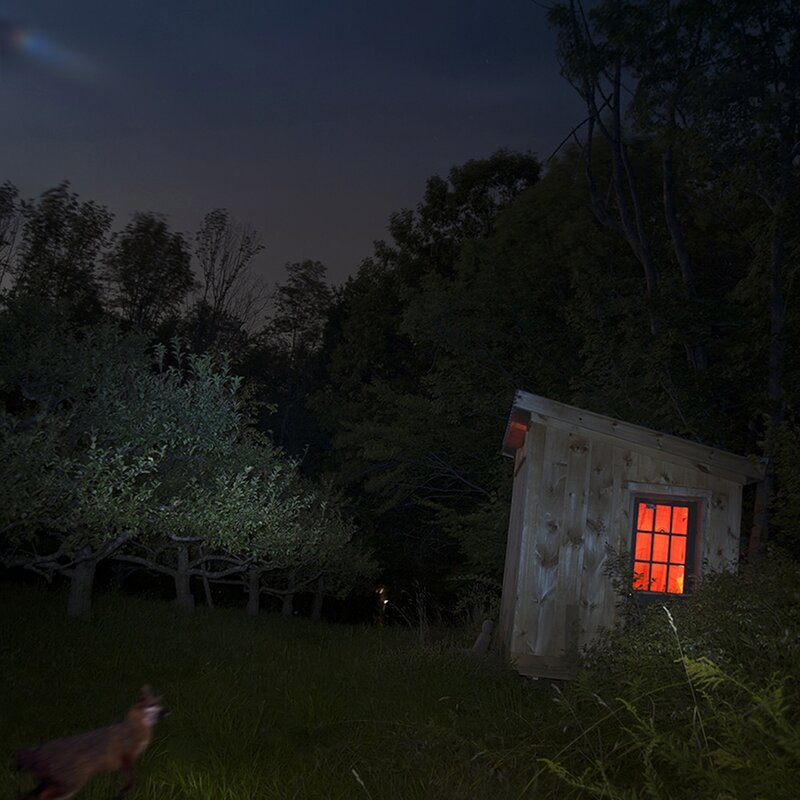 This project grew out of a larger body of work, “Into the Night in the Middle of No Where”, a poetic tribute to the rural night. 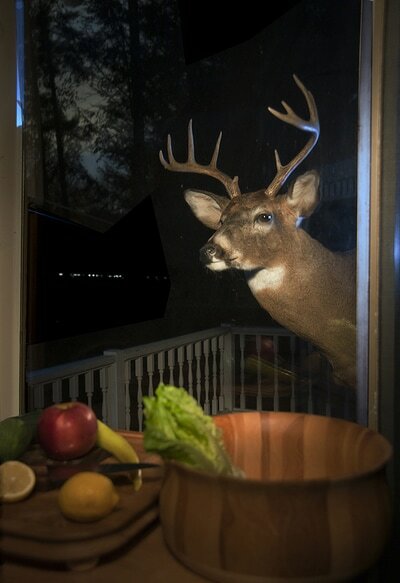 In the rural night, the boundaries between the wild and the domestic tend to blur into a potent swirl of mystery, familiarity and anticipated menace. 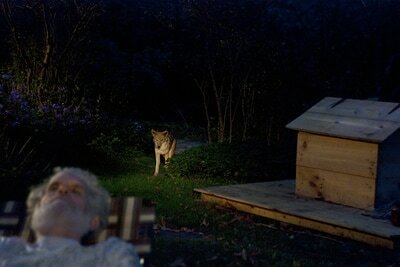 My dreams are here as well as my nightmares.